Every wedding is unique, so I offer a carefully tailored service and my fee depends on your requirements, as well as the date and location of your wedding. Typically, it will cost £250 for me to play for your wedding ceremony in Sussex, Surrey or Hampshire – a little less for some weekday weddings and a little more if you’re further afield. 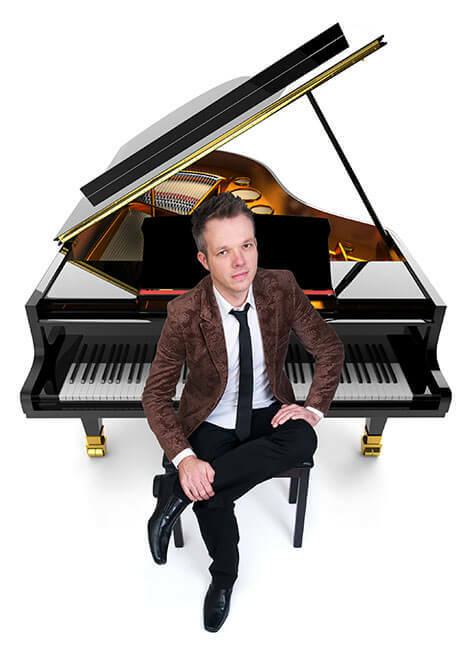 If your venue doesn’t have a suitable piano I can provide an electronic piano – either a standard keyboard-style piano at no extra charge, or you can hire my beautiful high-gloss black mini grand piano for an additional £200. I offer specially tailored packages at venues where I’m a recommended pianist, including Russets Country House, Bury Court Barn and Loseley Park. All of the above prices are fully inclusive of travel and all expenses, and there is no VAT to pay. Please do get in touch to let me know what you have in mind, along with the date and location of your wedding, so I can provide a tailored quotation.